When you stay at Naumi Auckland Airport in Mangere, you'll be in a shopping district, within a 15-minute drive of Rainbow's End and Alexandra Park. This 4.5-star hotel is 6.5 mi (10.4 km) from Mt. Smart Stadium and 7.2 mi (11.6 km) from ASB Showgrounds. Make yourself at home in one of the 193 air-conditioned guestrooms. Rooms have private balconies or patios. Complimentary wireless Internet access keeps you connected, and satellite programming is available for your entertainment. Bathrooms have complimentary toiletries and hair dryers. Enjoy Asian cuisine at Paksa Restaurant, a restaurant which features a bar, or stay in and take advantage of the 24-hour room service. Buffet breakfasts are served on weekdays from 6:30 AM to 10 AM and on weekends from 6:30 AM to 10:30 AM for a fee. 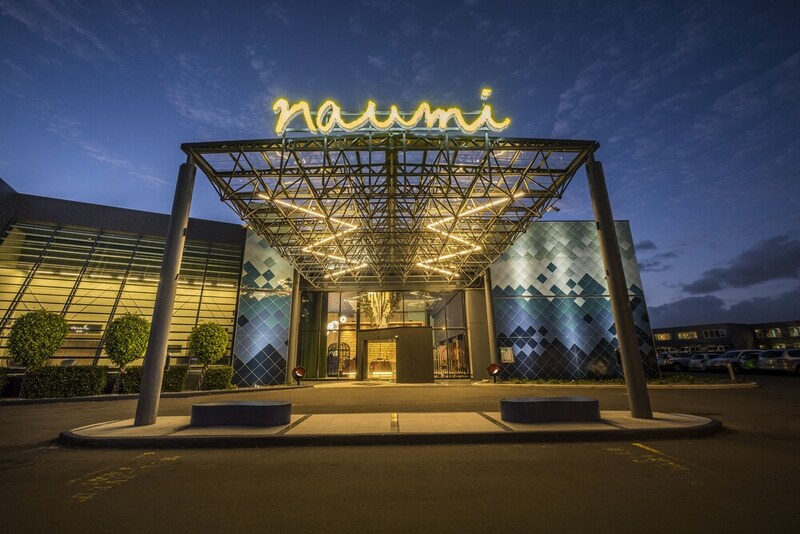 Naumi Auckland Airport features an outdoor pool and a fitness center. Dining options at the hotel include a restaurant and a coffee shop/café. A bar/lounge is on site where guests can unwind with a drink. Wireless Internet access is complimentary. This luxury hotel also offers a library, a terrace, and tour/ticket assistance. For a surcharge, a roundtrip airport shuttle (available 24 hours) is offered to guests. Onsite self parking is complimentary. A total renovation of this property was completed in August 2017. Naumi Auckland Airport is a smoke-free property. Buffet breakfasts are available for a surcharge on weekdays between 6:30 AM and 10 AM and on weekends between 6:30 AM and 10:30 AM. Paksa Restaurant - This restaurant specializes in Asian cuisine and serves breakfast, brunch, lunch, and dinner. Guests can enjoy drinks at the bar. A children's menu is available. Happy hour is offered. Open daily. Paksa Bar - This bar specializes in Asian cuisine and serves light fare only. Guests can enjoy drinks at the bar. Happy hour is offered. Open daily. This hotel will place a credit card pre-authorization for the stay upon check-in. For more details, please contact the property using the information on the reservation confirmation received after booking. This property's policy is to refuse certain bookings for the purpose of group events or parties, including pre-wedding stag/bachelor and hen/bachelorette parties. This property offers transfers from the airport (surcharges may apply). Guests must contact the property with arrival details before travel, using the contact information on the booking confirmation. Only registered guests are allowed in the guestrooms. Guests can arrange to bring pets by contacting the property directly, using the contact information on the booking confirmation (surcharges apply and can be found in the Fees section).